The Antarctic winter, with temperatures 100 degrees below zero, shuts supply lines down completely; conditions are too treacherous for planes and boats and the only connection with the rest of the world is satellite hook-up. During the long winter of 1999, Dr. Nielsen, the only physician on a staff of forty-one people, discovered a lump in her breast. Consulting via satellite e-mail with doctors in the U.S., she was forced to perform a biopsy and in June began to treat herself with chemotherapy, in order to insure that she could survive until conditions permitted her rescue in October. A daring rescue by the Air National Guard ensued, who landed, dropped off a replacement physician, and in less than five minutes took off with Dr. Nielsen. 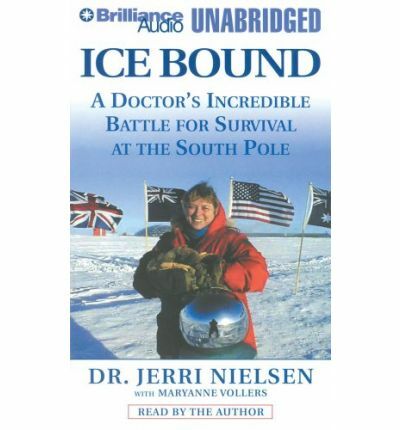 Set in one of the most remote and desolate yet strikingly beautiful landscapes on earth, Jerri Nielsen's narrative of her transforming experiences is a thrilling adventure of researchers and scientists embattled by a hostile environment, a chronicle of marvels - and limits - of modern medical technology, and a penetrating exploration of the dynamics of an isolated, intensely connected community faced with adversity. But at its core this is a powerfully moving drama of one woman's voyage of self-discovery and courage and the fierce dedication of scores of colleagues - both known and unknown to her - whose aid proved to be her salvation. Note: the format of this talking book is mp3-cd. This means it will only run on computers with CD-ROM or DVD drives or CD players that are fitted to play mp3-cds. It can additionally be copied from a computer to an mp3 player like an ipod sandisk rockbox sony or corresponding player.